Whether you are a male or female, a kid or a senior, you need to make sure you stay fit all the time in order to enjoy the full benefits of life. The only way to stay fit and healthy is to pay attention to what you eat and what you do. If you eat fresh, healthy and nutritious food and do daily exercises, you will be able to stay fit and enjoy every minute of your life. You do not necessarily have to do thousands of pushups or run 20 miles a day to achieve this goal, by just making sure that all your body parts get to move repeatedly for a few minutes till your body starts sweating, you can maintain a good physique and good mental health. Following are some of the exercising equipments, which your whole family can benefit from, by using them on regular basis. 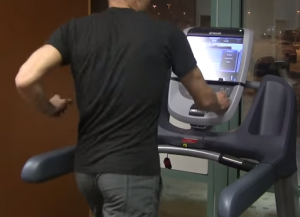 A treadmill is basically a machine used indoors for walking and/or running purposes. It comes both in manual or automatic style, and both can be used by any member of your family. The manual treadmill is easy to operate and lasts for longer period of time. All you need to do is spend at least 30 minutes walking or running on the belt with your hands holding the handles on both sides. The belt adjusts to your speed of walking or running, so you will have no problems adjusting to this machine. 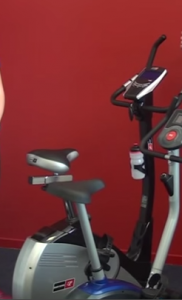 A recumbent exercise bike is especially designed for people who suffer from some sort of joint or back pain problems. Some seniors may encounter this type of problem and a recumbent bicycle provides them support they need to still carryon their daily exercise routine. Normal people, who do not suffer from any kind of joint or knee pains, can also use a recumbent bicycle any time they want to burn some calories and move their body parts. Step machines also referred to as ski machines or ellipticals are a replacement of stairs. When to use a step machine, you are imitating as if you are climbing on stairs. You stand straight on this machine and put your feet on the two pedals and push them up and down. A step machine can help any member of your family make leg and thigh muscles strong.